Holiday season is in full swing, and we want to encourage everybody to give their skin LUV (Less Ultra Violet). Whether you’re hopping on a plane in search of hotter climates or staying in the UK for a city or beach break for your summer holiday, it’s so important to protect your skin from sun damage. 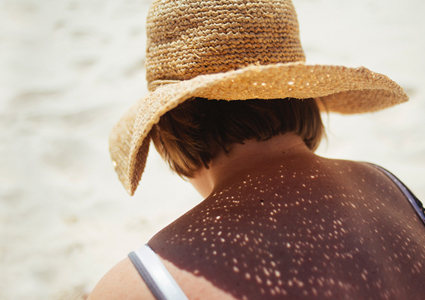 People who have had sunburn are more than twice as likely to get melanoma than those who haven’t, and the risk is even higher if you’ve had sunburn on numerous occasions during your life. In the UK alone, almost 9 in 10 cases of melanoma could be prevented through enjoying the sun safely. 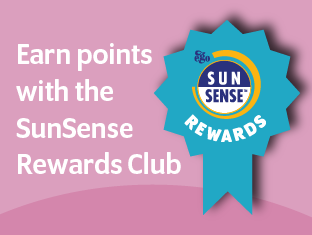 SunSense Ultra SPF50+ is a broad spectrum sunscreen, protecting against UVA and UVB rays, which is great to use on your summer holiday. Remember to apply at least 20 minutes before exposure and reapply every two hours, especially after swimming, sweating or towelling dry. The best way to protect yourself from UV rays is to stay in the shade. Although the shade won’t completely protect you, it can certainly reduce your overall exposure to UV by filtering rays out rather than blocking them completely. This could be underneath a parasol next to the pool or on the beach, underneath a canopy or on a shaded balcony. There are plenty of options. It is also important to keep babies and children out of direct sunlight. Try to wear protective clothing. We understand this can be difficult whilst subjected to hot climates, however even wearing a wide-brimmed hat can be effective in protecting the head and face from UV rays. Loose-fitting clothing which is tightly-weaved (so you can’t see through the fabric) will also help protect your skin, such as a t-shirt. Protect your eyes from too much UV exposure with sunglasses. Extended exposure has been linked to eye damage such as cataracts and temporary vision loss. They should state that they block out 100% of UVA and UVB rays, to give your eyes maximum protection. Take care of your skin during the Summer of LUV (Less Ultra Violet) and have a safe holiday!